Not a single person intends to misplace the car keys of her or his Pontiac. Replacing the lost car key is far easier than you may be thinking. 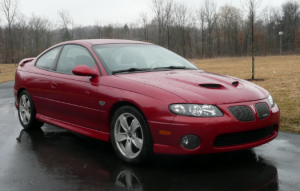 AZ Car Keys are less costly than auto dealerships for Pontiac car keys in Phoenix. • Basic car ignition keys – Like the name suggests, these keys are nothing different than the conventional car keys used in most SUVs. They feature the steel that goes into the ignition to start the car’s engine. • Door keys – These are the keys used to open the front and back doors. 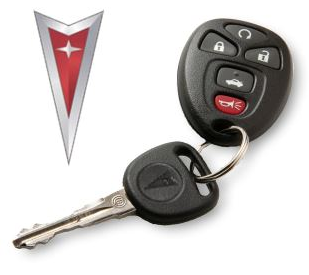 Usually, one key can open all the doors to your Pontiac and most models come with an extra key for the doors. These keys are often attached to an automated switch that can be used to open/lock the doors or trigger the alarm. • Boot key – This key is used to open the storage compartment in the boot section. Apart from these basic keys, Pontiacs may feature different types of keys based on the technology used. You can find programmable keys that can only start the car once a specific set of codes is entered on a provided display. The specific codes are only applicable for that particular key and car. Such keys are also reprogrammable when you lose or forget the required entry. Why would you need another key? There are other personal reasons for another key. Regardless of the reasons, it is important to consult professional locksmiths to handle the work. As aforementioned, there are different types of Pontiac car models and this automatically presents different types of keys for those models. Each model comes with its unique set of keys which may get lost or damaged. Should you ever need replacements, rekeying or reprogramming, it is advisable to choose AZ Car Keys who can guarantee top quality services. Review all the aspects of good reputation, reliability, competitive affordability, experience, flexibility and convenience as well as professionalism, customer service and technical knowledge. Key replacing is a delicate procedure that requires precaution. It may be necessary to replace the entire lock-key system. This will ensure the lost key is incapable of opening your car anymore. One good thing about car keys is that you can always upgrade your old system into something modern and more secure. If you have an old Pontiac car model that uses less secure keys anyone can duplicate, you should consider upgrading them. While replacing ignition keys may be a lot difficult, you can always replace the door locks and prevent first level entry. It is also advisable to have different keys for the ignition and door lock. Lost my G6 key on a hike. I found these guys online and am happy I did. They came and had my new key in my hand in less than an hour and a half. Number saved!